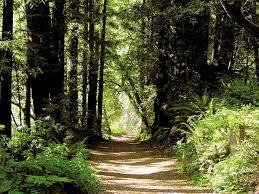 All TBE members are invited to join Brotherhood on a hike through The Forest of Nisene Marks State Park, beginning at 10 AM Saturday, Nov. 17. We’ll be led by Brotherhood member and Park Interpretive Aid Paul Karz through the old growth Founder’s Grove and Twisted Forest. It’s a beautiful moderate-level hike, perfect for family members of all ages. We’ll pause for a short brunch and nature talk by Paul, so be sure to bring something light to eat and drink. The hike will take roughly 90 minutes to two hours. We’ll leave the entry kiosk at 10 AM so be sure to leave yourself a little time to park and meet at the kiosk. Parking is available inside the Park boundaries at $10 per vehicle. We recommend carpooling. Please join us on this inspiring walk into the Park’s history. Any questions, please contact Paul at karzpr@aol.com or Mike at mike@reinlaw.net.